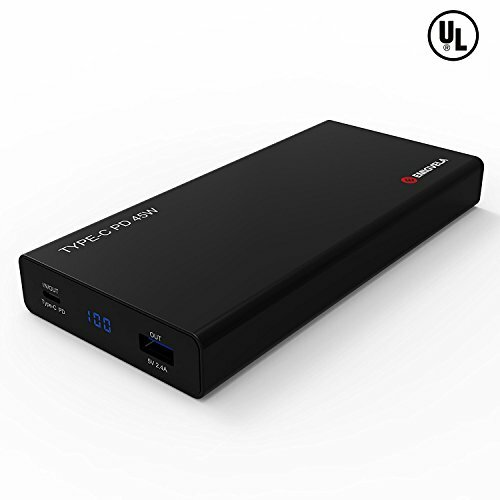 20,000mAh Fast Portable Charger With USB-C Input, 45W Type-C Output, Supports Laptops, QC Phones, And More Just $24.99 From Amazon After $25 Off Code! forCompare with other general power banks, using our power bank you will save 25%~60% charging time to fully charge your devices. 1 Comment On "20,000mAh Fast Portable Charger With USB-C Input, 45W Type-C Output, Supports Laptops, QC Phones, And More Just $24.99 From Amazon After $25 Off Code!"